The UN Obsession with Israel! 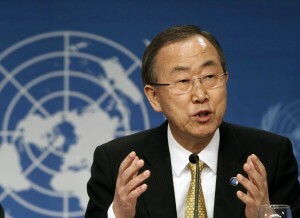 But 1948 is nearly 70 years ago and since then, the United Nations have been less than friendly to Israel. As a matter of fact, for many years, there have been more resolutions passed against the Jewish state than the rest of the world combined (and here). For instance, in 2015, the UN adopted 23 resolutions, three against Iran, Syria and Korea and twenty against Israel. There are no indication that it will slow down in 2016. It is also very hard to forget the 16 years that it took the United Nations to revoke their 1975 resolution claiming that “Zionism is Racism.” And even if they did revoke it, the organizing of the Durban I (2001), II (2009) and III (2011) conferences against racism have shown that the target was once again almost exclusively Israel. The United Nations’ obsession with demonizing Israel is obvious to any unbiased observer. Just days ago, the unbelievable claim was made by the UN that Israel was the number one country violating women’s human rights. The UN ignored Hamas, Sudan, Saudi Arabia, Iran, ISIS, Syria to name just a few of the countries were animals are treated better than women. Yet it found Israel guilty of human rights violation against Palestinian women. Is it me or whatever comes out of the UN is officially believed as fact by a world population that certainly doesn’t care to check for accuracy as much as it cares for stigmatizing and ostracizing Israel? To add insult to injury, the UN decides to praise and promote violence, lies and murders. How do you explain the UN funded tree planting by Palestinians to honor the memory of terrorists? How sick is it to promote death and make murderers into martyrs while accusing the victims of human rights violation? This makes it very difficult for anyone who is seeking truth and fairness to not accuse the UN of antisemitism. It is a fact that a large number of UN members are Arab/Muslim nations who are against Israel and are weighing in at every chance they have to vote against the only Middle East democracy. In the meantime, Israel treats Palestinians in their hospitals, gives jobs to Palestinians and even has two Arab parties as a part of the Knesset. This is looking more and more like there is nothing Israel can do to be in good standing with the world in general and the United Nations in particular. Should Anti-Zionism and Anti-Semitism be approached separately? 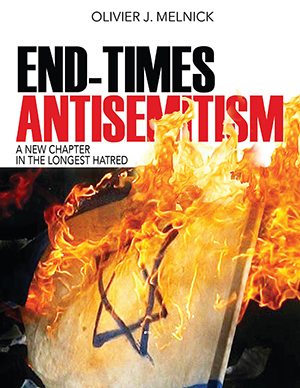 “… anti-Zionism is in many ways more dangerous than anti-Semitism. First, anti-Zionism targets the most vulnerable part of the Jewish people, namely, the Jewish population of Israel, whose physical safety and personal dignity depend crucially on maintaining Israel’s sovereignty. Put bluntly, the anti-Zionist plan to do away with Israel condemns five and a half million human beings, mostly refugees or children of refugees, to eternal defenselessness in a region where genocidal designs are not uncommon. Secondly, modern society has developed antibodies against anti-Semitism but not against anti-Zionism. Today, anti-Semitic stereotypes evoke revulsion in most people of conscience, while anti-Zionist rhetoric has become a mark of academic sophistication and social acceptance in certain extreme yet vocal circles of U.S. academia and media elite. Anti-Zionism disguises itself in the cloak of political debate, exempt from sensitivities and rules of civility that govern inter-religious discourse, to attack the most cherished symbol of Jewish identity. Finally, anti-Zionist rhetoric is a stab in the back to the Israeli peace camp, which overwhelmingly stands for a two-state solution. It also gives credence to enemies of coexistence who claim that the eventual elimination of Israel is the hidden agenda of every Palestinian. In his article, Judea Pearl seems to clearly delineate several differences between the two AND claim that the most dangerous is Anti-Zionism. I am far from convinced that the two can be completely separated and additionally, I believe that Anti-Semitism is at the root of Anti-Zionism. The complete destruction of Israel would not bring the rest of the Jewish people worldwide to a safe place, while the complete cessation of anti-semitic acts and sentiments would preserve Israel AND also the diaspora Jews. So, to be sure, BOTH Anti-Semitism AND Anti-Zionism must be fought and defeated and BOTH will require us to stand up and speak against them. Racism is man’s gravest threat to man – the maximum of hatred for a minimum of reason. 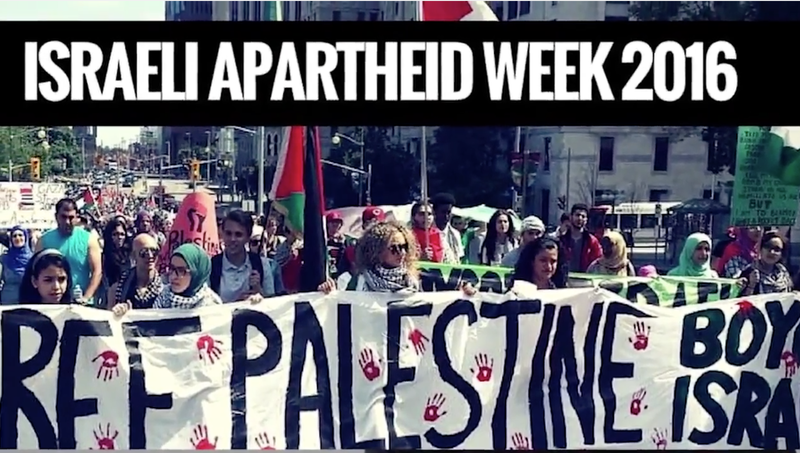 “Israeli Apartheid Week” is not about Social Justice! 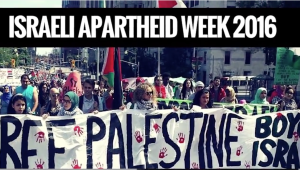 For the twelfth year in a row, campuses around the United States and now even around the world are promoting an event known as Israeli Apartheid Week (IAW). The decade old movement has picked up quite a bit of momentum in the last few years as we can see on their interactive map of events around the world. The vast majority of anti-Israel events will take place in the United States and Western Europe, with more in South Africa and South America. The claim is made that Israel is guilty of apartheid just like South Africa was. In a short video, a spokesperson for the AJ+ news website explains apartheid and leads the viewers to connect South African protest against it to Palestinian protest against Israeli apartheid. While her description of South African apartheid is somewhat accurate, her linking it to Israel is a giant stretch based on many false presuppositions. Yet, that well produced video and many more of the sort are fueling organizations such as Israeli Apartheid Week (IAW). Their promotional video has a message of unity and social justice accompanied by a catchy reggae-style tune. It starts with a bold statement saying:” One has to keep telling the story in as many ways as possible, as it insistently as possible, and in as compelling a way as possible, to keep attention to it, because there is always a fear it might just disappear.” In and of itself the message is true, but what they apply it to isn’t. Over the years, the IAW organizers have invited Israel haters, antisemites, historical revisionists and Holocaust deniers alike. People such as Noam Chomsky, Illan Pappé, who while not blatantly denying the Holocaust, accuses the original victims [the Jews] of perpetrating a new Holocaust on the new victims [the Palestinians] and Rabbi Yisrael David Weiss from anti-Jewish (you read it right!) group Neturei Karta, to name just a few. Or even Omar Barghouti from Qatar who along with his anti-Israel BDS stance has also pursued a PhD at Tel Aviv University. So much for apartheid Mr. Barghouti! So, if I understand IAW promoters, it is appropriate to further tell the story–as unfounded as it might be–of Israeli occupation and crimes against Palestinians, and it is equally appropriate, if not expected, to perpetuate the notion that the Holocaust never happened or was grossly exaggerated. Anti-Israel organizations like Jewish Voice for Peace, are quick to add the Palestinian struggle to all other minorities’ fights against injustice. So, now we can save the whales, promote transgender people and divest from Israel all in one fell swoop! After all, it is all about minorities being abused! This also leads to having groups who share no common ground ideologically, hold hands against Israel and the Jewish people. This builds a stronger case for what I call End-Times antisemitism as it illustrates incredible irrationality. • Other inhumane acts of a similar character intentionally causing great suffering, or serious injury to body or to mental or physical health. Where is the call to boycott China, Sudan, North Korea, Rwanda, Congo or Syria among others? Where is the public cry to denounce the multiple genocides and ethnic cleansing around the globe? It is a stretch, but even if these people were to continue pointing the finger at Israel for crimes that they haven’t committed, why are they not also pointing the finger at Hamas for crimes that they are committing? Sure, it can be argued that not all Palestinians are terrorists, but regarding those who are, why are they still being given “carte blanche” to commit more crimes? Israel Apartheid Week is more than blindness or ignorance, it is a willful vilification of Israel and it has absolutely nothing to do with global social justice. How did Zionism become a cuss word? Growing up in France in the 60s, I often heard conversations about Zionism and Israel at family gatherings. I didn’t really understand what they were all about except that there were always a few family members who spoke passionately about Eretz Yisrael. Some even occasionally spoke of the possibility of returning to the Land. Zionism was some sort of magical, mystical word that made people both dream and argue in the same breath. It never got bad press, except maybe from the few Jewish family members who were comfortably assimilated in France and wouldn’t fathom making Aliyah. Fast forward to 2016 and Zionism has now become a cuss word in many circles around the world. According to scholar Mitchell Bard, Zionism is: “ The national movement for the return of the Jewish people to their homeland and the resumption of Jewish sovereignty in the Land of Israel. Additionally, Israeli diplomat, politician and historian Abba Eban defines it as follows: “Zionism is nothing more — but also nothing less — than the Jewish people’s sense of origin and destination in the land linked eternally with its name. After the early Zionist pioneers of the late 1800s, the Jewish people started to move back to the land of Israel in the late 40s from all over the Diaspora. They were drawn to Israel for reasons as various as political, familial, economic or even religious. Nothing was frowned upon by anyone. Then came Yassir Arafat, the PLO and the Palestinian quest for self-determination. Unfortunately, the Palestinian cause was one without a land…something had to happen! For a while, the damage inflicted on Zionism was counteracted by a strong support from Evangelical Christians who became known as “Christian Zionists.” They based their support of Israel on a belief that the Bible spoke of that land given to Jewish people by God Himself. They also made a strong connection to End-Times prophecies including and involving Israel in a very strong way all the way to the end. In Genesis 12:1-3, which I like to call “God’s foreign policy as it pertains to Israel” we see that God made a covenant with Abraham, further confirmed through Isaac (not Ishmael) and Jacob. In that Covenant, He gives the Jewish people the deed to the Land of Canaan (Exodus 13:11). This is further developed in Genesis 12:1-3, 7; 13:15;17:7-8, 19; 25:5-6; 26:3; 28:3-4; 35:9-15. Anti-Zionism is simply a human attempt at rewriting a Divine Covenant between God and the Jewish people and because of that, it can be deemed as anti-biblical and is bound to failure. If God changed His mind, this would also make Him a Covenant breaker and a liar. • Ahmadinejad used to call for the complete destruction of the Zionist Regime. • Khameini believes that the Zionist Network dictates US policies which a lie taken straight from the early twentieth century hoax known as The Protocols of the Learned Elders of Zion. Should a Zionist agree with every single decision made by the Israeli government? Of course not! Should a Zionist systematically reject any prospect of shared land space between Jews and Palestinians if peace is truly the goal? Probably not! Yet, these and many more libelous statements by Israel’s enemy have poured over into the Evangelical Church. The Palestinian narrative has become stronger than the biblical narrative. The Christian Zionists of yesterday has morphed into a politically correct Christian “Palestinianist.” As a result, very few within the Evangelical ranks continue to support Israel. Zionism has truly become a cuss word and yet, the Bible never changed. Anti-Zionism is almost always antisemitism in a cloak of social justice. Many followers of Yeshua (Jesus) look at the Bible and clearly see that God is NOT done with Israel. They see a glorious future for the people and the Land. While their numbers are dwindling down, these people are still called Christian Zionists as they recognize Israel’s biblical right to the Land and the Jewish people right to return to that Land. 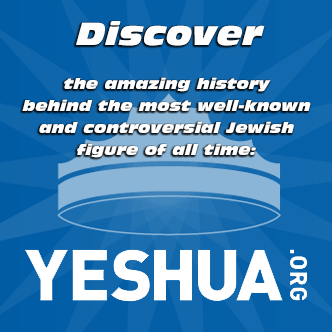 Christian Zionism is a noble cause and is part of what every Bible believing Christian should promote because God Himself declared it to be true in His Word. 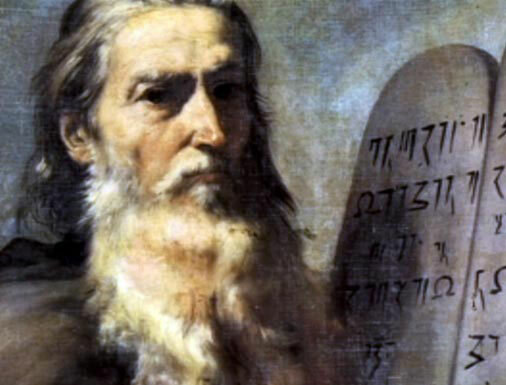 The foundation for Zionism was established by God in the book of Genesis. It continues to run through like an uninterrupted thread through the tapestry of Jewish history. 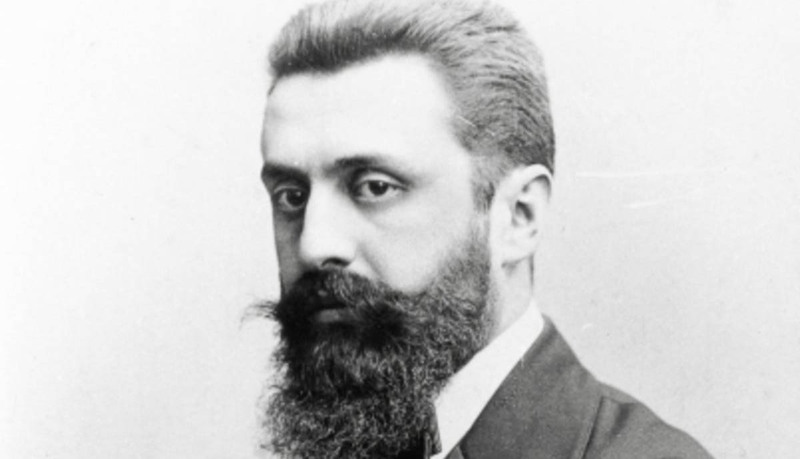 If Zionism has existed for a long time, we also cannot deny that God used people like Theodore Herzl, Achad Ha’am, Eliezer Ben Yehuda, Chaim Weizmann, David Ben-Gourion, Golda Meir and many others to further promote the Jewish people right to the Land of Israel. What God established, no man can destroy (Jeremiah 31:35-37).